This podcast is also available on Docquity, the Asia’s fastest growing network for medical professionals. For those who haven’t heard of Docquity, it’s a medical social network offering continuing medical education. It is available on both Apple Store and Google Play! 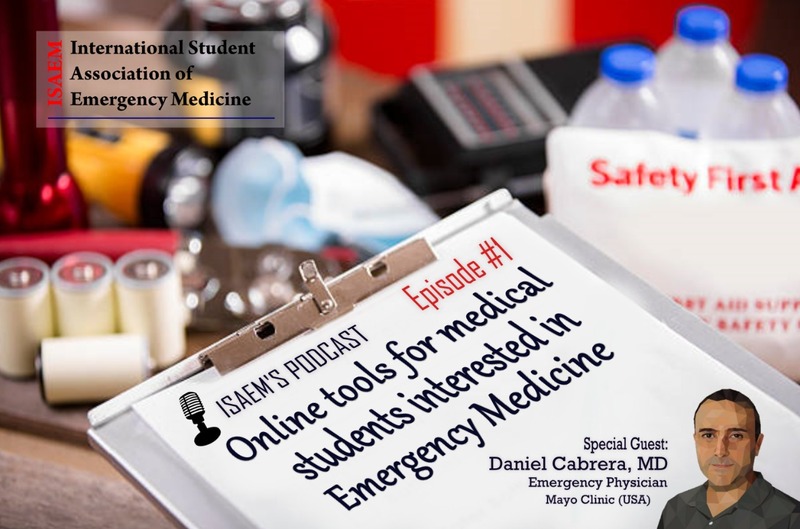 Our perfect guest to chat about this topic with us is Dr. Daniel Cabrera, Emergency Physician working at the Mayo Clinic in Rochester, Minnesota (US). His special interest/expertise include graduate medical education, clinical decision making and medical cognition. He was recently named the new Associate Dean for Continuous Professional Development at the Mayo Clinic. Five tips for new Social Media users. Why medical students who are interested in EM should start using online platforms like podcasts, twitter and/or blogs? Don’t throw away your textbooks! FOAMed is user-generated and thus will have gaps. Instead, use FOAMed to enhance your classroom/textbook learning. Learning more about the EM mindset. Life in the Fast Lane – amazing EKG library and lots of point-of-care resources. EMBasic – core content for medical students who are getting into the EM world. emDocs – excellent content on EM mindset! Academic life in EM – for those of you academically oriented. Be skeptical! ; discuss with your mentors. Dr. Cabrera and his wisdom during this episode have impressed us. Please check out below the full podcast audio! This is also available on Docquity. ISAEM is thrilled to offer other resources for medical students interested in the most amazing specialty ever! Don’t forget to check out Spanish and Portuguese FOAMed translations, EM news, EMIG support and a growing student opportunities database. We encourage you to explore and share your favorite FOAMed resources with us on Twitter! Tweet us at @ISAEM13!